Helping people who care for a friend or family member with mental illness navigate the NDIS. Ready to start navigating the NDIS? Sign up online today. Carer Coach is a five module training series that Arafmi has developed to help mental health carers and the people they care for navigate the NDIS. Carer Coach is being delivered through face-to-face workshops, booklets and online. Carer Coach brings together information from a range of quality NDIS resources relevant to mental health carers. This information has been combined with the invaluable knowledge Arafmi’s frontline workers have developed through supporting people through the NDIS process, to provide carers with accurate and easily accessible information. 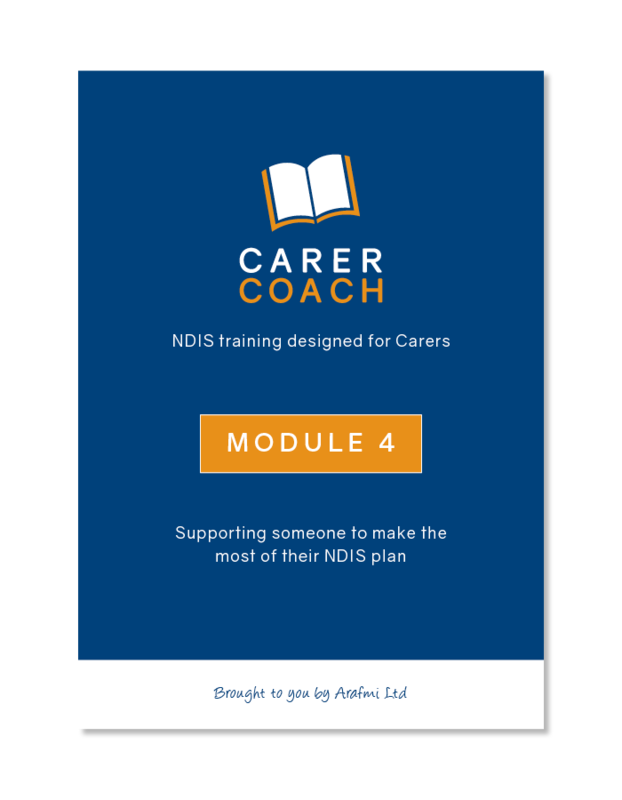 Carer Coach is free for anyone who cares for or about a friend or family member with a psychosocial disability who wants to learn more about the NDIS. It is specifically tailored to the unique needs and challenges of mental health carers and the people they care.